Each of our packages are set up to be a complete health and safety system. They come with a manual and all relevant forms. All our documents are in Word or Excel format meaning they are editable, so you can add your business logo, name and other changes you may need. What is included in your system? Each system includes a manual with a health and safety policy and documents a health and safety system under three headings; Management of Our Obligations, Management of Workers and Management of Others. Each section includes procedures and a list of the relevant documents. All documents which are listed in the manual (additional documents can be purchased separately). 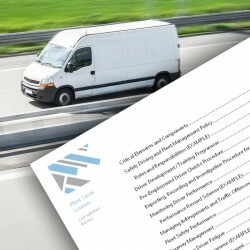 Our documents are specifically made to be editable and adaptable to suit your business. Should you have any questions or queries, do not hesitate to call. This complete health and safety system is suitable for an organisation of up to 15 workers. It comes with a manual that documents a health and safety system under three headings; Management of Our Obligations, Management of Workers and Management of Others. Each section includes procedures and a list of the relevant documents. This complete health and safety system is suitable for a small office of up to 15 workers. It comes with a manual that documents a health and safety system under three headings; Management of Our Obligations, Management of Workers and Management of Others. Each section includes procedures and a list of the relevant documents.